Des Moines Feed is an Iowa-based seed, grain and feed mix recipe producer. For over 70 years, our business has been catered to the creation of high-quality, nutritious, and clean products for caged birds to wild birds and beyond. Our focus on the unique needs of each species makes our business truly for the birds. 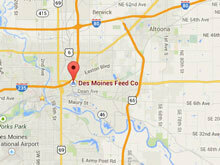 What Differentiates Des Moines Feed From Other Bird Feed Companies? Des Moines Feed is committed to the nutrition of the birds that consume our products. That’s why our seeds and grains are non-GMO and tested in a third-party laboratory for quality control. 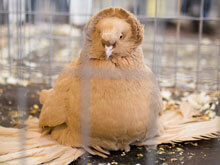 Have your birds been rejecting the feed you give, leaving piles of grain beneath your feeder? When purchasing product from Des Moines Feed, you can rest assured that if it isn’t top quality, we don’t sell it. 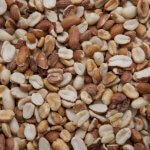 Every load of seeds, grains, and other ingredients that come through our doors are cleaned thoroughly before packaged. The purity of our mix recipes is important in providing the most nutrient-rich and healthy options for the birds at your feeder. Our goal is a rate of 95 percent purity or better every time. We don’t sell standardized bird feed mixes. Instead, we create our own combinations of crushed and/or mixed seed and grain to provide high-quality mix recipes for our customers. Each product is designed by experts to provide species-specific nutrition. Get your Hands on DSM Feed Products. Get High-Quality Feed into the Beaks of every Bird. Participate in providing nutrient-rich, pure bird feed options by becoming a dealer or distributor of Des Moines Feed products. Find feed for your bird feeders by utilizing our store locator to find a dealer near you.